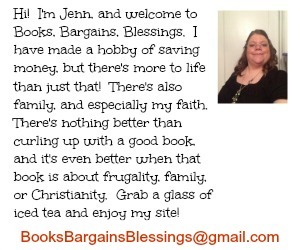 Books, Bargains, Blessings: Frugal or Frivolous? My opinion on Subscription boxes. And a Frugal solution. 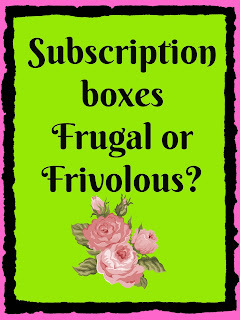 Frugal or Frivolous? My opinion on Subscription boxes. And a Frugal solution. I have won a few subscription boxes over the last few years, but only one month of them. For someone who loves mail, I have to say they are extremely tempting, but I also am a frugal person. I just looked at one of the more popular subscription boxes, and it costs $19.95 for a month, but it claims to have $50 of stuff in it. I don't know how often I have been tempted to subscribe to sticker subscription kits or scented items subscriptions, but I have refrained. Why? Because of the cost. My thought is this: There are tons of items out there I think would be fun or helpful or encouraging. Instead of allowing some stranger to decide what I want, why not instead of that $20, use it for something that I would like to have? I did get an amazingly comfy t-shirt in a cat subscription box I won one month of it, but there was a piece of jewelry in there that didn't fit me (a bracelet) and just some other stuff that I had a "meh" attitude about it. I wear the shirt a lot. But would it have been worth it to pay that much for just one item that I truly loved? I don't think so. There are so many fun items out there. Personally instead of spending $20 and not knowing what I would get, I think ordering a Shakespearian Insult Mug, Folger's Coconut Cream Pie coffee, and a Hallmark Christmas movie DVD double feature would be a better use of money (although it would be about $5 more than that $20) than ordering something not knowing if I would like what I ordered or not. The thing with spending money on yourself, you could change your theme every month. You could pick out a new book, movie, new kitchen gadget, or even make-up. 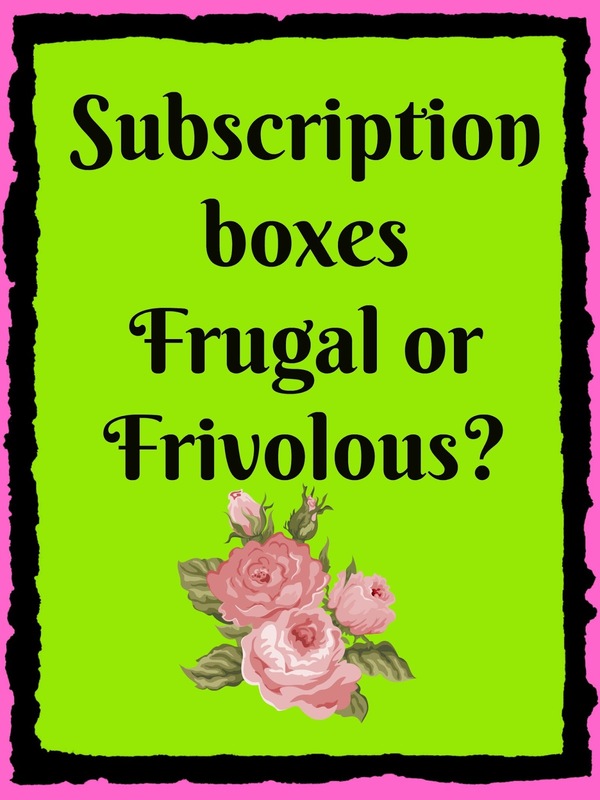 For a truly frugal subscription box, why not buy a set of those video tape / photo storage boxes you can often get at craft stores for $1 each on sale. Buy 12 of them, and label one for each month of the year. Then you can add extra things as you get them such as putting a toothbrush, candy, plus other small impulse purchases and that could be added to them. You could work a year a head of time (not with edibles, though) if you wanted so you would hopefully forget what was in the box you would open each month. If you love subscription boxes and have the extra money, spend it on yourself. If you are frugal, I think you could create your own and have a fun time doing so as everything would be tailored just to you. If you like trying new beauty products, learn couponing at CVS and you can try all kinds of make up and other items extremely inexpensively. When would I recommend sample boxes? If you use a lot of something in crafting (such as stickers) and don't want to buy more than you would use. Something that would be almost impossible for you to purchase without a great deal of problem (such as overseas food sample boxes). Also, I do recommend the Amazon Sample boxes for Prime Members. Some of them give you your purchase price credit back to spend in that same category. So you might spend $9.99 on a sample box and then get a $9.99 credit to use in the future on items in that box (or in the same category.) These are limited to one of each box per household, though. I know! Right? It's crazy. You'd think the shipping would be built in. There are some cool ones out there, but some of the prices are nuts! I've seen ones where shipping is $9 -- and as an eBay seller I know darn well it doesn't cost that to send them!